Venice finally gets a skate park! The much anticipated, and long awaited, skate park in Venice, CA finally opened on Saturday October 3, 2009! I attended the opening party held at Kristin Jai Klosterman art studio. Beowulf, Lisa D’Amato, Dirt Nasty and Hellride (Peter Distefano, Mike Watt and Stephen Perkins) performed to a packed house. 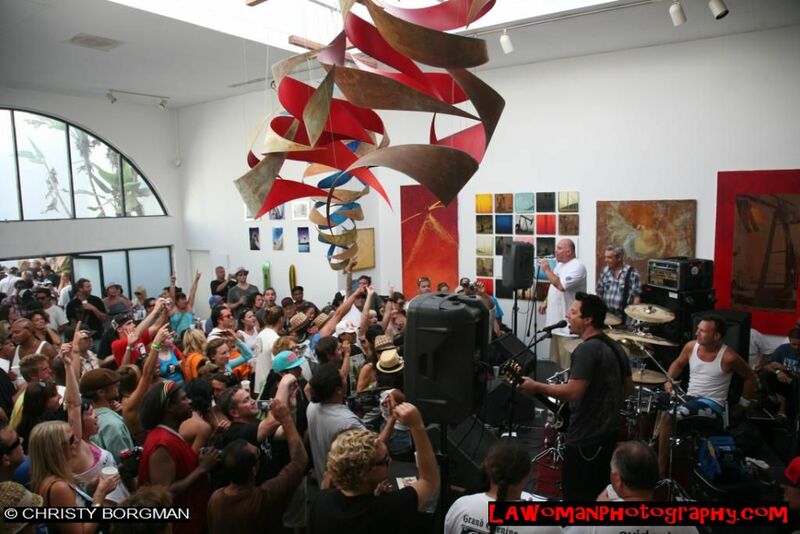 This entry was posted in beach, concert and tagged Hellride, Mike Watt, Peter Distefano, skate park, Stephen Perkins, venice. Bookmark the permalink.